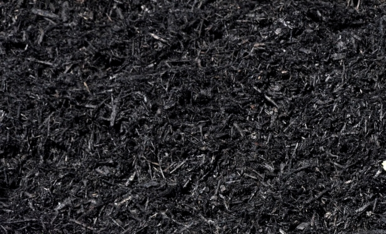 Dyed Black Mulch – APLS, Inc.
Dyed Black mulch is a double-shred mulch with consistent texture and a vivid black color. Dyed Black mulch has become very popular over the years, thanks in part to the sharp contrast it creates when used in garden beds and around homes. It creates a very clean, finished look that will impress guests, neighbors, and customers alike. All of our dyed mulches are composed of 100% Pennsylvania hardwood bark/wood fiber. It is dyed with only the highest-quality colorant, which is non-toxic and environmentally friendly. It is important that dyed mulch be spread at least 24-48 hours before any precipitation, so that the colorant can properly “cure” and adhere to the mulch. When applied properly, your dyed mulch will look fantastic all year.